Todays pacman upgrade to version 5.1 broke various things on my system, octopi doesn’t work anymore, pamac needed to be removed, packagequery is broken too. I get the message: error while loading shared libraries: libalpm.so.10: cannot open shared object file: No such file or directory. The commands yaourt and downgrade are not working anymore either. It didn’t happen on Antegros as far, as I know: pamac dependencies (pacman<5.1) prevented pacman from upgrade. I guess you’re on Arch, as myself, or you use pamac form another package, like pamac-aur (?). In case you needed the old libalpm.so.10 file. I backed it up here. On my Arch installations I just copied it to /usr/lib, and yaourt / pamac got back to life. 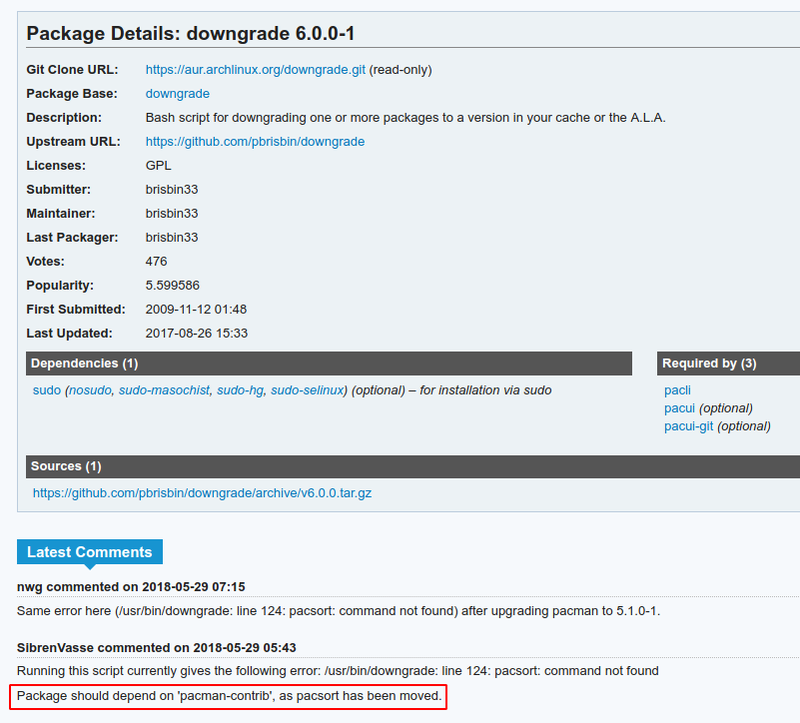 However, according to the Arch forum, “the pacman update means all the wrappers are broken”. It’s true if it comes to the downgrade script, Arch updates notifier Gnome extension, and, I suppose, to many others. I run Antergos with the antergos repos enabled and I have installed pamac 6.3.1-1 and octopi 0.8.5-3 from the repos. Pacman 5.1.0 is blocked from upgrades here now and I will to use pacman 5.0.2-1 untill the problem is fixed. Don’t want to lose downgrade and yaourt. I hope they’re going to be fixed soon. I restored yaourt, but I wish I had downgrader, too. I’ve just installed the ‘pacman-contrib’ package, and downgrader is alive again. What about octopi, downgrade, yaourt, packagequery? I got downgrader working by reinstaling it with Aurman, yaourt on the other hand isn’t still working. Pacman, Pamac, and Tray Indicator for KDE upgrade successful here. Last one will be package-query then and @lots-0-logs was updating it already, should also be up in short! I’m sorry, I over read your post; you’re talking about downgrade and I’m talking about downgrader, two different things. Downgrader is working over here, but downgrade is indeed broken. but downgrade is indeed broken.